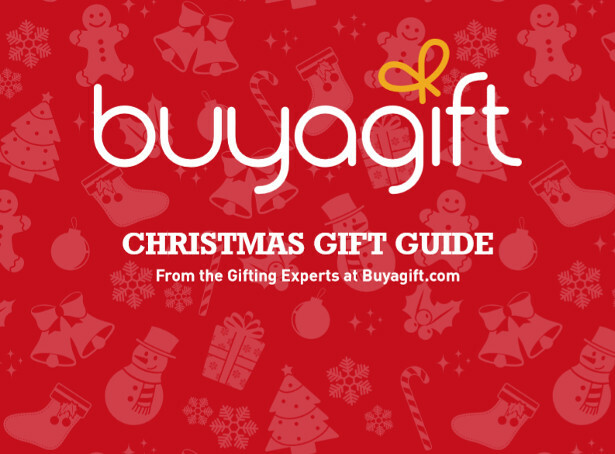 www.buyagift.com Christmas Gift Guide! This Christmas, gift your loved ones the unexpected! This Christmas, gift your loved ones the unexpected. Could they ever imagine the small box under their Christmas tree could contain a weekend getaway or a bungee jumping experience? Treasure the disbelief on their faces while they rip open their presents and become overcome with joy. Buyagift takes gifting to the next level, with over 4500 gifts to choose from we make it impossible to panic over the question “What should I get them?!”. 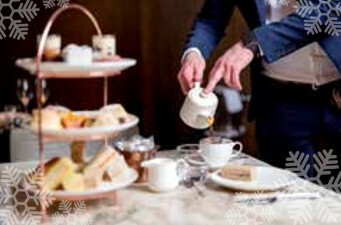 For an award-winning afternoon tea with a twist look no further than this central London hot spot! The May Fair Hotel has taken the traditional British afternoon tea and added a delicious chocolate injection of flavour. 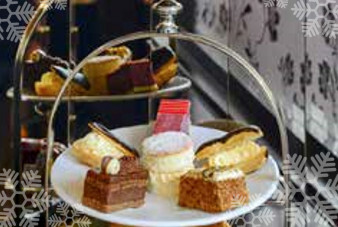 Accompanying a delicious range of sandwiches, will be such tempting treats as doughnuts with chocolate sauce, chocolate scones, tiramisu and flourless chocolate and orange cake, plus a tempting assortment of Charbonnel et Walker truffles, making this signature afternoon tea a sure hit for anyone with decadent tastes! A delicious afternoon tea selection is waiting for you and your guest at Patisserie Valerie. Taking the best of traditional British afternoon tea and adding a chic European twist, Patisserie Valerie will astound you with hand crafted cakes, freshly baked scones smothered in clotted cream and jam, and freshly filled sandwiches bursting with flavour. As well as a full afternoon tea selection you’ll receive a £10 voucher allowing you to choose four delicious slices of cake so you can carry on the indulgence at home. 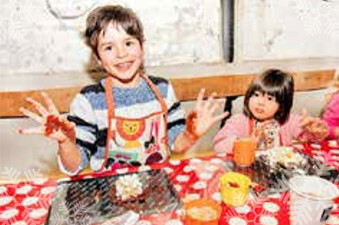 A chocolate workshop is a dream come true for any child with a sweet tooth. 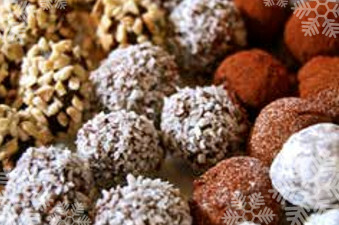 At Hotel Chocolat’s cocoa vaults your children can discover the enticing world of cocoa. A welcome drink will kick off the workshop alongside an introduction to the experience before the real fun begins! They’ll be able to get stuck into a memorable chocolate decorating session with the guidance of an expert. Once they’ve completed their mouth-watering masterpiece, they’ll package it up in a beautiful box, ready to take away and feast upon at home! 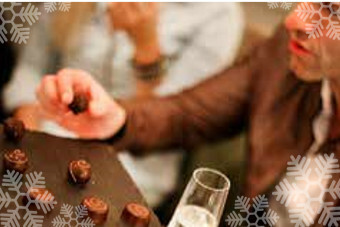 You and your fellow chocolate lover can take your obsession to the next level with a tasting adventure at the renowned Hotel Chocolat. With two great locations to choose from including a rustic underground Cocoa Vault in London’s vibrant Covent Garden this is sure to be a day out to remember! With 13 types of chocolate to try you’ll learn how to pick out the nuances of the flavour as well as discovering the effects of the creation process on the end product. A glass of prosecco will accompany your tasting treat. Winner of England’s Family Friendly Attraction of the Year 2017, Thames Rockets guarantees an unforgettable day in the capital. Stepping aboard a light and high-speed powerboat, you will receive a unique experience that you will want to relive again and again. Taking you on an adventure down the river, you can sit and admire all the iconic attractions, from the Tate Modern to the London Eye and Canary Wharf. As you glide through the water, you will receive fascinating facts and commentary from your knowledgeable skipper. Orbit for Two The ArcelorMittal Orbit is a new addition to London’s many tourist attractions. 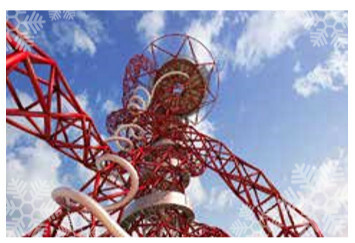 A major icon of the 2012 Olympic Games, it is now home to the world’s longest and highest tunnel slide! With this exclusive offer, you and a guest will enjoy entry to the upper viewing platform and external balconies, where you can take in the awesome 360 degree views of the city before plummeting 178m towards the ground! You will be able to see some of the world’s most iconic sights as you twist and turn 12 times around the structure before a final 50m dip down to earth! 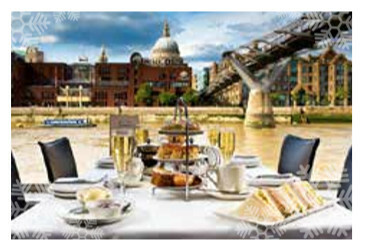 Set sail on the world-famous River Thames and indulge in a scrumptious afternoon tea for two. 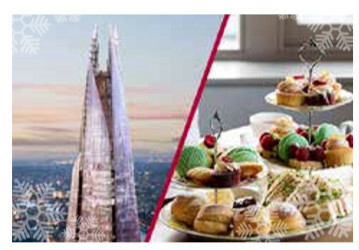 As you board the breath-taking Harmony cruise boat, you can take in awe-inspiring views of the capital as you tuck into a wonderful selection of dainty finger sandwiches, fluffy scones (with the traditional clotted cream and jam) and mouth-watering pastries, whilst enjoying the sounds of a fantastic pianist. To accompany your food, indulge in glass of champagne and relax. A spectacular way to see London in all its glory without the crowds, you are ensured a memorable day. Dominating the iconic London skyline, The View from The Shard is one attraction not to be missed. Offering stunning panoramic views for up to 40 miles around, you’ll be able to gaze across the beautiful city from the highest viewing platform in London. 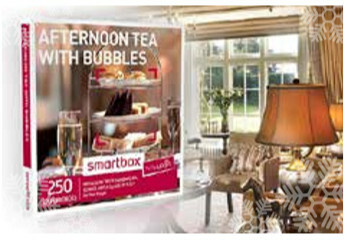 Next, you’ll enjoy a delectable afternoon tea for two at a luxurious location of your choice. You’ll both experience a taste of the high life as you dine on a wonderful afternoon tea feast, topping off this magnificent day out! Weekdays An animal enthusiasts dream, this experience will have you getting very well acquainted with the lions and tigers at Paradise Wildlife Park, as you join them for feeding time! You will be safely behind the fence throughout while you hand feed them under the close watchful eye of the big cat handlers. 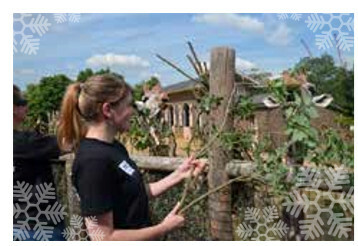 Your voucher also includes entrance to the park, so take the full day to visit all the other animals and attractions. 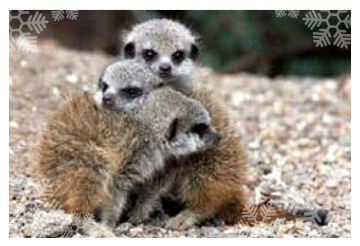 Calling all animal lovers – here’s your chance to become a zoo keeper for the day at the famous ZSL London Zoo! Your knowledgeable host keeper and other fellow participants will join you upon arrival for breakfast, before getting ready for an action-packed day with some of the residents of the zoo. You’ll assist the host keeper on daily activities including preparing food, mucking out and meeting some of the amazing animals themselves! 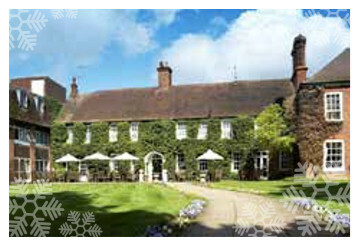 After working up an appetite, a complimentary lunch and afternoon tea with cake will be provided. 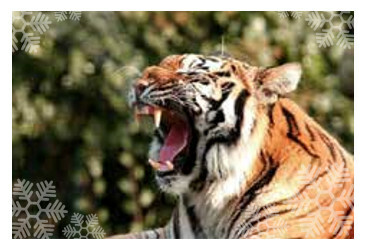 Give someone you love the unique gift of a memorable animal experience. With this Animal Encounter voucher, there’s a wide variety of animal experiences available so you’ll be spoilt for choice. Those wanting to make some feathered friends could enjoy an Owl or Hawk flying experience, or if you’re looking to meet some exotic animals, pick one of the reptile, meerkat, or zoo experiences instead. There are also some fantastic farm experiences to enjoy, including interacting with llamas, grooming ponies and even a deer safari! Expect some unique characters, fantastic photo opportunities and unforgettable memories from a Penguin encounter at Drusillas Zoo Park in East Sussex. On arrival you will be greeted by a zoo keeper who will take you to the Penguin enclosure and introduce you to these magnificent creatures. 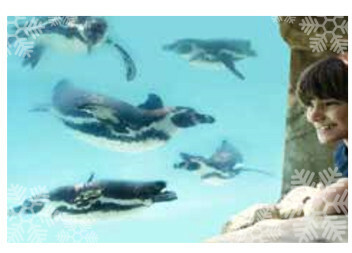 You’ll quickly see their individual personalities for yourself as you get up close to the Penguins and are allowed to feed them some tasty treats. Remember your camera, as there will be plenty of photo opportunities to capture this unique experience! UK Wide Our handpicked horse riding experiences are perfect for novices and experienced riders alike. 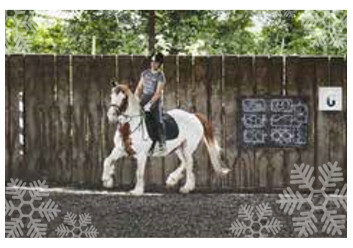 For those new to riding, you have the option to choose a Riding Centre which introduces you to the basics of halt, walk and trotting, during a fun and informative hour-long session. If you’re feeling more confident then at some locations you’ll be able to opt for an exhilarating hack through the beautiful British countryside and bridleways, escorted by your seasoned instructor who will ensure you have a safe and enjoyable ride. Have Edam good time learning the techniques needed to make a variety of different artisan cheeses. This 3-hour cheese making course will enable you to create delicious varieties from a selection including mozzarella, ricotta, paneer, goats cheese and soft cheese with chives and chilli. These gateway cheeses will inevitably generate cravings for a greater buzz, so you’ll also learn the theory behind making hard cheese, as well as how to make bread from some of the by-products. Sushi Making Workshop with YO! Sushi You’ll learn the fine art of sushi making, using rice, fish, seaweed sheets and vegetables in this amazing class. Inside-out Rolls, Maki, Nigiri and Nori will no longer be mysteries when you become an expert in creating your own delicious and healthy sushi. An experienced chef will then demonstrate the techniques that turn fresh ingredients into wonderful sushi. It’s not just fish – there are also vegetarian options available to make, for this most versatile and customisable of foods. Let the experts at Hampstead Butcher Providore show you how to make the perfect sausages with this 90 minute sausage making class. During your workshop, you’ll be under the guidance of the expert sausage maker as you learn butchery skills, prepare the pork and sausage meat and stuff and link the sausages. 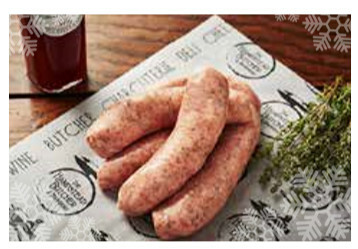 Choose your own sausage mixture from the daily fresh ingredients and using only the best free-range English pork. 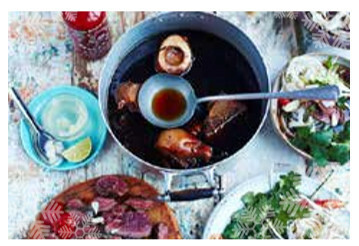 Step into a whole new world of bold, fresh flavours with this Vietnamese culinary expedition at The Jamie Oliver Cookery School. You’ll try your hand at such street food classics as beef pho, delicious prawn and vegetable summer rolls and pork balls sandwiched between baby gem leaves. This appetising array of aromatic delights is topped off with a beautifully zingy dipping sauce that will bring your taste buds to life. Take a tantalising taste of the Vietnamese streets back to your kitchen! 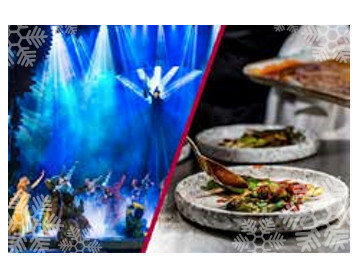 Enjoy a perfect evening in London’s West End with this theatre show plus a dining experience for two. Take your pick of hit theatrical favourites such as the terrifying Woman in Black or the enduring Wicked. From fine contemporary Mexican and Peruvian cuisine to classic British cuisine accompanied with wine, the dining options will also leave you spoilt for choice. Enjoy a night of laughter at a comedy club near you. These clubs have seen the biggest names in comedy grace their stages. From Jack Dee to Jo Brand, Eddie Izzard to Michael McIntyre, all the greats have played in these legendary auditoriums. Doors open at 7pm and you will be treated to a phenomenal show with up to four comedians gracing the famous stage. Food and drink is available at the bar, which stays open until the early hours so you can continue your party into the night. 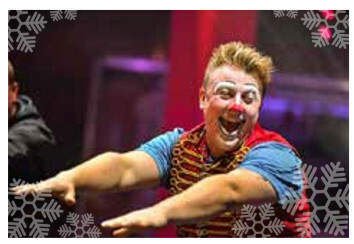 Spoil the family with this circus experience for four! Showcasing a band of incredible, high energy acts from all around the world, Circus Zyair offers an hour and a half of colourful action beneath a climatecontrolled big top. Relax into the comfy seating and soak up the electric atmosphere as acrobats, jugglers, magicians and daredevils fill the tent with music, adrenaline and laughter. It’s a dazzling experience for every member of the family! Three Course Meal with Prosecco and Show Tickets at Proud Embankment It’s showtime! Enjoy a night of glitz and glamour at the Proud Embankment in London. 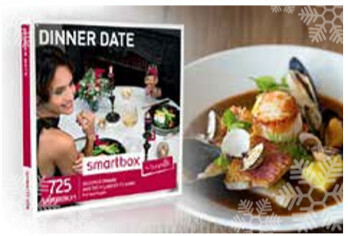 Mark an important occasion in style with a delicious Pan-Asian three course meal and dazzling cabaret show. Celebrate and toast the occasion with a glass of prosecco and prepare to be amazed as the Proud Embankment hosts a variety of shows, from circus nights to classic burlesque. When you imagine your night out, think Moulin-Rouge or Chicago style! 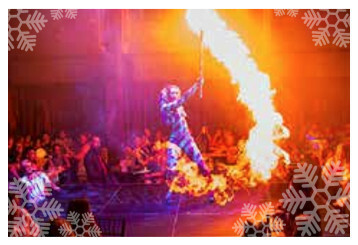 Enjoy mid-air acrobatics, daring fire acts, cheeky strip teases and much more. The magnificent two storey building is located beneath Waterloo Bridge, close to the prominent West End of London. Our Victorian counterparts were avid viewers of parlour magic shows, and now you can jump back in time as you and your guest are amazed by the spellbinding sleight of hand and impossible tricks of The Magic Hour Show. You’ll be in premium front row seats for this unbelievable experience, and your 30-page full colour programme will make a fitting souvenir of your authentic Victorian adventure. 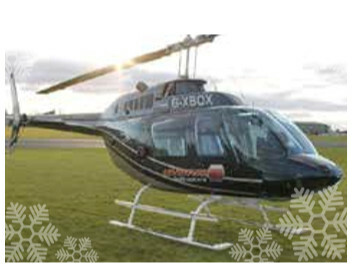 Take to the skies with a loved one during this breathtaking helicopter tour. The two of you will be able to marvel the magnificent countryside below as your pilot points out the local landmarks, all from the dizzying height of 1000 feet. There’ll be ample opportunities to take some wonderful photos, so don’t forget your camera! Afterwards you can reminisce on your experience and enjoy a glass of bubbly each while you compare who spotted the most landmarks. Land Away Double Flying Lesson Learn to fly a real aircraft with this fantastic flying lesson experience. You will be taken up on your first of two 30 minute flights where you will observe as your instructor talks you through piloting the aircraft. Back on solid ground and it’s your turn to put your new skills to the test as you finally take the controls for the second of the flights. 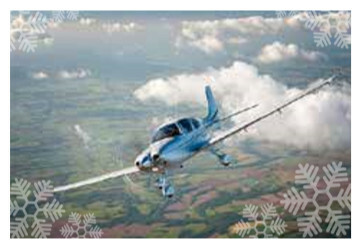 The instructor will be on hand to guide you as you soar through the clouds at up to 2000ft. Upon landing, you will be de-briefed before being presented with a signed certificate that can be used towards a full pilots licence! Gliding Discovery Flight Gliding is like no other form of air travel. Soaring high above the clouds reaching heights of up to 2000ft you’ll feel like a bird, with nothing but the sound of the wind rushing past the cockpit. Although most definitely a thrill ride, it is probably the most tranquil thrill ride you’ll ever experience. Upon take-off you are hauled into the air by a powerful plane before you are detached to fly along solo. You will even have the chance to take controls yourself, should you wish. 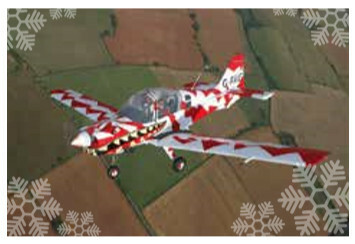 Fly a real fighter plane with the comfort of knowing you are in no danger of crashing – no matter what you do! Made from a real Delfin L29 fight jet, as used by the Romanian Air Force, this simulator has the real look, feel and even smell of what it is like to fly one of these incredible planes. You’ll even be kitted up in real genuine RAF issue kit, with Anti G-force pants, helmet and mask putting the finishing touches to the realism of this experience. 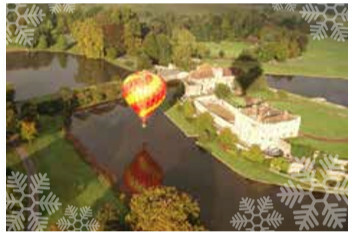 Swap the car for the most magical means of transport, a hot air balloon! You and a friend will reach a height of 2000 feet as you soar over a beautiful location of your choice in the early hours of the morning. Prepare to be amazed by the mesmerising sunrise, valleys, quaint villages and endless fields below. Then it’s up, up and away into the serene sky for an hour ride with a glass of champagne. Try the latest craze in staycationing with this flexible two-night glamping package. 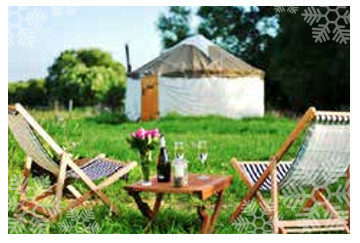 Love the fresh air and freedom of camping, but don’t fancy the mud and rain? Well here’s the perfect solution. Whether it’s a stylish camping pod, quirky wigwam or sturdy timber tent, you’ll be sheltered from anything the British weather can throw at you. With locations in Devon, Cumbria, Herefordshire and rural Scotland, this two night glamping stay is the perfect quirky romantic getaway. 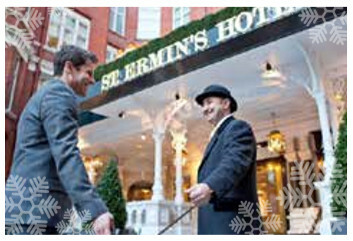 Four-star luxury and classy, elegant surroundings combine on this wonderful hotel stay in the heart of Westminster. Located just a minute’s walk from St. James’s Park, you will experience the ‘wow’ factor from the get-go, as you enter the hotel through a gorgeous tree-lined courtyard. Inside, the results of a recent £30 million refurbishment are breath-taking: stunning décor, an antique library, state-of-the-art gym and several eating and drinking spaces await, including a Caxton bar, grill and terrace – perfect for the summer months! Two Night Tree House Escape for Two Find yourself elevated from the ground exposed to the majestic views of birds, greenery and trees. Take the stress out of camping and stay in a luxurious treehouse. The designer unit sleeps two adults and two under 16s, and has comfortable beds, vintage wooden furniture, edgy cushions, tea lights and lanterns. There is an ensuite composting toilet, so no stumbling around the woods in the dark looking for the loo! There are beaches nearby, and with the town of Machynlleth just a short drive away, you’re not stranded too far from civilisation if you run out of cornflakes… or beer! 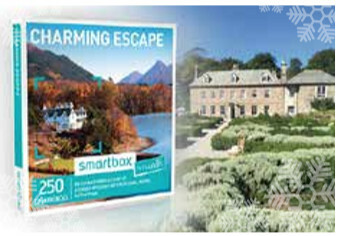 Head to the picturesque countryside of Staffordshire for a relaxing spa retreat designed to soothe your body and mind. You’ll be able to make full use of the Mill Wheel spa facilities during your stay and you’ll both enjoy a 25 minute Beach Hut treatment. If this taste of relaxation isn’t quite enough, you’ll receive 20% discount on any other spa treatments you wish to book during your stay, and you can also take a dip in your very own hot tub in your private garden! Your stay includes a delicious three course meal, as well as breakfast before you check out. You’ll leave feeling relaxed and thoroughly pampered. Special Offer Immerse yourself in a murder mystery and put your detective skills to the test with this eerie overnight break. Available at top quality locations nationwide, and with over 100 original plots featuring twists, turns, gory confessions, and stone-cold killers desperate to hide their crimes, your experience is guaranteed to be a riot. As soon as you step through the door you’ll find actors mingling with guests, unfolding the story piece by piece over the course of an exciting evening of entertainment. A delicious three course dinner will be served alongside the murder plot, although you may lose your appetite once you learn the deadly motives involved! When the mystery is solved, you can retire to your comfortable room (hopefully nothing goes bump in the night!). Special Offer You and your fellow speedster can go full throttle with this electrifying go kart racing experience. 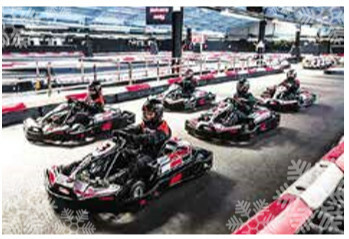 Choose from a huge range of UK locations, and hit the go kart track for 50 adrenaline pounding laps. You’ve had the safety briefing, you can smell the rubber, see the go karts lined up waiting for their chance to blast off, the visor comes down, foot on the pedal and finally it’s time to go! Do you have what it takes to climb to the top of the podium, holding your winner’s trophy high? Wet mud, near misses with trees, flying over hills and sharp turns; everything you would expect from rally driving, and now you’re in the driving seat! Whatever the weather, you’ll be free to throw this high powered machine around the specially constructed “track”, putting into practice the techniques your instructor has shown you. So slide, turn and put your foot down; you don’t have to pick up the cleaning bill! You will have 5 locations to choose from around the UK, each with their own unique track. Once you have finished your session, you will come away with a certificate to commemorate this action-packed day. 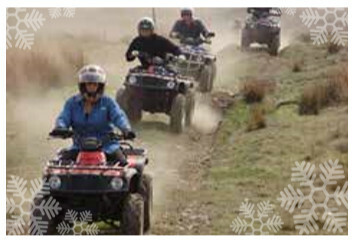 Whether you are a complete beginner or a seasoned quad biker, this fantastic experience will cater to your needs. Whichever course you choose, your dedicated instructor will greet you with an introduction to the vehicles. You’ll then get the chance to try the quad bikes in a more relaxed environment on the training course to hone your skills. It’s then out onto the more challenging circuit for a rally style session, as you pick up speed and put yourself to the test! 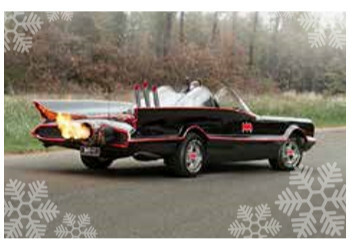 Take the wheel of the very first version of the ultimate superhero car – as driven by Adam West and Burt Ward in the hit 60s TV show. Although the original car was auctioned in 2013 for $4.2 million, this accurate replica includes all the fins, pipes, paintwork and even the flaming exhaust! You’ll be able to recreate your own crime-fighting cruise at nine tracks around the UK, driving for three miles as photos and videos of your drive are taken for you to view and/or purchase at the end. Special Offer Feel the thrill of driving one of the biggest, loudest, fastest names in motoring with this incredible supercar experience. From a stunning Lamborghini Gallardo and a fierce Ferrari to a suave Aston Martin and a nippy Nissan GTR, you’ll be simply spoilt for choice. 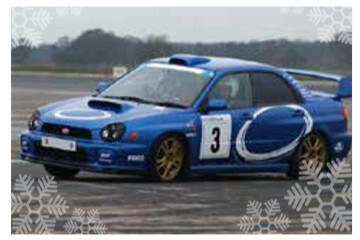 Following a thorough safety briefing, you’ll take to the tarmac for six adrenalinefuelled miles in your chosen vehicle. With hundreds of horsepower in your hands, it’s a driving experience you’ll never forget! 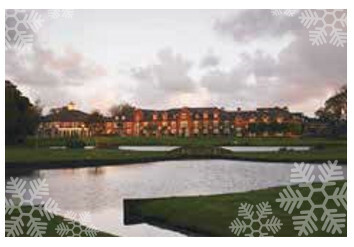 Formby Hall Golf Resort and Spa offers a wonderful setting for an overnight escape. It’s time to throw on a fluffy robe and enjoy a little slice of heaven as you revel in two blissful hours in the thermal suite, before taking advantage of unlimited use of the leisure facilities. Take relaxation to the next level with a soothing 25 minute treatment. In the evening, you and your loved one will be served a two course gourmet meal, accompanied by a crisp glass of wine, and on the morning of your departure you’ll be treated to a delicious breakfast. 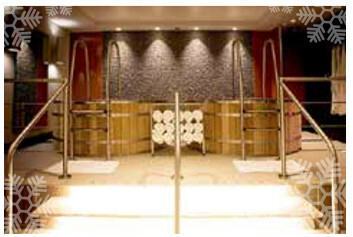 Enjoy a delightful day of relaxation at an opulent Bannatyne Spa. Whether you choose the Kingsford Park or the Bury St. Edmunds location, you are guaranteed an unforgettable and sumptuous experience. During your day, you can enjoy a fabulous Elemis facial that rejuvenates your skin, a delectable glass of Prosecco and a delicious sharing platter. Unwind and let the stresses of every day slip away as you relax in the beautiful spa. 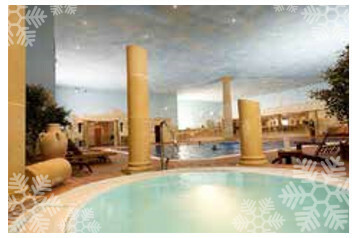 Relaxation Spa Day with Lunch for Two at Whittlebury Hall In need of a good catch-up with a friend? What better way to spend some together than with a gloriously relaxing spa day at a stylish hotel! Located in Northamptonshire, Whittlebury Hall will provide some much-needed pampering for the day, with full use of the leisure club – including the swimming pool, sauna and steam room – and the amazing heat and ice experiences, designed to invigorate the body. From the ice cave to the aromatherapy crystal steam, your skin will be left soft, smooth and hydrated. What’s more, a sumptuous two-course buffet lunch is included. Tidy up the loose ends and cut a long story short with this experience for one at Ted’s Grooming Room. Available at London locations, this is a great chance for you or someone you know to smarten up and enjoy a professional haircut and styling session. 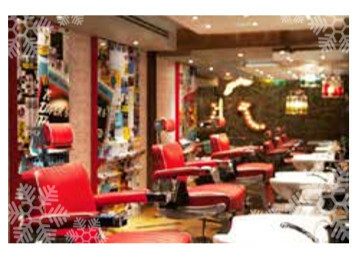 You’ll receive a beer or Turkish coffee upon arrival and relax while an expert barber becomes available. Then sit back and enjoy the sensation of having your hair washed as you discuss your chosen haircut. Take advantage of this amazing 2 for 1 offer and treat a loved one to this luxury spa experience at the Athenaeum Hotel in London’s Mayfair. You and your guest will get to enjoy use of the Athenaeum’s REN spa for an hour, boasting a sauna, steam room and two cedar wood hot tubs. 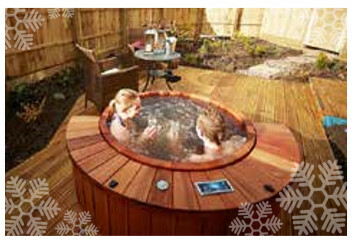 A delicious glass of Prosecco to sip on in the hot tub will only add to your pamper treat. Choose to combine your treats with a 30 minute massage and 30 minute facial, to get the best of both worlds, or opt for the 60 minute treat and enjoy a full hour of stress relieving massage therapy or a luxury facial for healthy, happy skin. 2 for 1 Spa Day with Four Treatments for Two at Bannatyne Head to your chosen Bannatyne Health Spa for the perfect spa retreat! 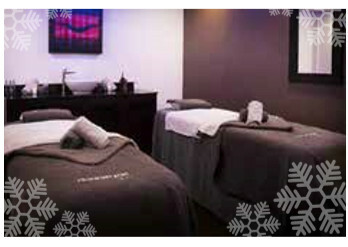 Both you and your companion will enjoy a peaceful spa day together at one of the 40 convenient Bannatyne locations across the UK, where you will each enjoy 70 minutes of pampering, with a leg and back massage, facial and OPI manicure or pedicure included to ensure you’re feeling de-stressed, refreshed and renewed! The rest of your spa day will be devoted to you, allowing you full access to the spa and leisure facilities. With a full 60 minutes with a PGA professional you’ll have no problem making a hole in one! You and your guest will be able to gain expert advice from a professional with years of experience and skill. You’ll be able to dramatically improve your golfing technique as well as nurturing your natural skill at the game. Thanks to many brilliant locations across the UK and over 100 PGA professionals ready to teach you everything they know you’ll be completely spoilt for choice! 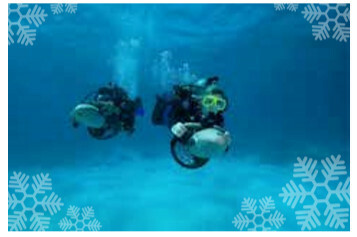 For those keen to take up scuba diving, this is the perfect introduction! Situated in beautiful Norfolk, this fantastic experience is the ideal opportunity to get to grips with the basics of this wonderful underwater sport. Under the watchful eye of an experienced instructor, you’ll learn the tips and techniques necessary for exploring the depths of the ocean. In a safe and controlled environment, this pool-based lesson will familiarise you with the equipment, as well as teaching you breathing skills and safety knowledge, and how to communicate with your fellow-scuba divers whilst paddling beneath the waves. 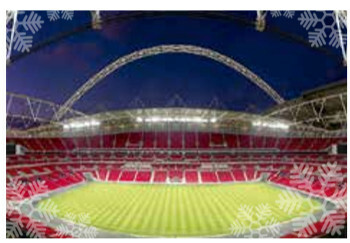 Immerse yourself in the incredible atmosphere of one of the world’s most legendary stadiums and discover a world of sporting history with this brilliant guided tour of Wembley Stadium, and follow it up with a mouth-watering Italian meal at popular modern restaurant Prezzo. You’ll begin at the stadium, exploring the players’ changing rooms, treatment room and the warm up zone before you imagine the trumpets as you step boldly down the tunnel to the pitch! You’ll also enjoy the opportunity to get your pictures taken with a replica FA Cup in the Royal Box, before you head over to a nearby Prezzo. There, you’ll be able to sample three delicious courses from a set menu that includes pizzas, rich pasta dishes and truly decadent desserts – plus a glass of wine each to toast to your day! Indoor Surfing Experience for One Want to feel the wind in your hair as you surf 20ft waves in dangerous shark infested waters? No? Neither do we! Now you can enjoy the thrill of surfing in the safe and controlled environment of the FlowRider machine, located in Bedfordshire. 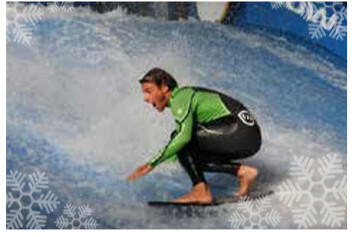 Receive expert guidance from an experienced instructor as you jump onto a specially designed board which skims across the continuous four-inch wave. The edges are fully padded and the sea itself is made of a special soft membrane ride surface, which means no matter how many times you fall you’ll walk away without feeling sore! You’ll be part of a group of up to 12 and take it in turns to ride the wave. 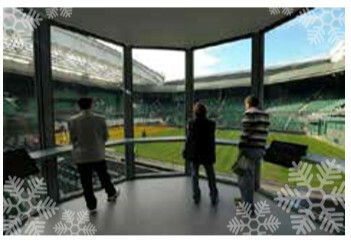 Adult Wimbledon Tennis Tour for Two A superb and intriguing tour of the world’s greatest tennis club is in store for the lucky recipient of this fabulous Wimbledon experience voucher. You will be given a behind the scenes tour of the grounds that is second to none, all with fantastic insight from your enthusiastic blue badge guide. You will visit both court number one and centre court, the site of some of the greatest battles in the history of the sport. Your guide will lead you through the beautiful picnic terraces and up to the water gardens with views of London before heading to the marvellous interactive Wimbeldon Tennis Museum. 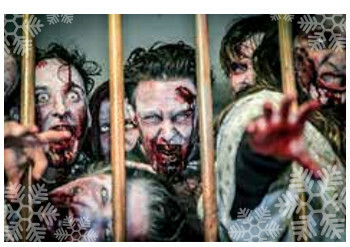 Zombie Infection Experience for Two Treat the zombie enthusiast in your life to a hair-raising Zombie Infection experience. With the entire country descending into panic, it is up to you and the veteran zombie team to secure the last remaining safe spots. It won’t be plain sailing, of course. Along the way, you’ll encounter flesh-eating zombies, who’ll test both your stamina and your mettle. All locations have been chosen for their grandeur and representation of the decay of society, adding authenticity to the story. Flyboarding Experience The Flyboard is the latest craze in water sports sweeping the world, and now you can try it for yourself. 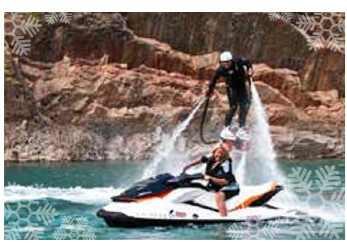 Using water jet propulsion from specially designed boots and hand pads, the personal water craft forces water out under extreme pressure sending you soaring into the air to heights of up to 10 metres. You will then have a full 30 minutes to put what you have learned to the test. Predator Adventures Seabreacher Experience for One Strap in and hold tight for this whirlwind of a ride! Board the supercharged Seabreacher Watercraft at one of the world’s most extreme and revolutionary water sports! These incredibly unique semi-submersible vessels boast a 300HP engine, reaching speeds of up to 60mph on the water’s surface and can even dive below at up to 40mph! 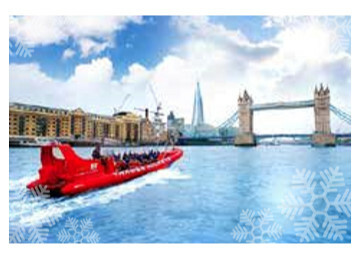 Not one for the faint hearted, you will leap, roll and dive, turning doughnuts and 90 degrees angle side rolls across the water, as your expert driver takes you on an adrenaline ride on the Thames. 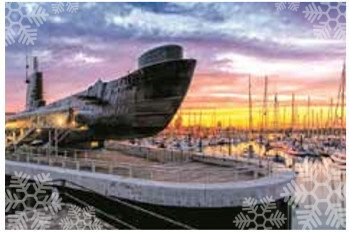 Portsmouth Historic Dockyard Annual Pass for Two A truly memorable day! Unlimited access to all the major attractions makes Portsmouth Historic Dockyard the best place to explore our country’s naval past. Be wowed by Lord Nelson’s flagship HMS Victory, HMS Warrior 1860 – the world’s first iron-hulled armoured warship. All this is just the tip of the iceberg, and you’ll even get a free ride on the Waterbus to cruise around Portsmouth Harbour! 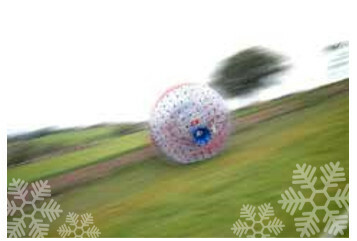 Aqua Zorbing for Two – Special Offer Want the exhilarating ride of your life? Searching for a water-based thrill but have been to all the waterparks? Aqua zorbing is the answer! Encompassed in a massive 12ft ball half-filled with litres of water, you’ll safely bounce down hills next to a friend. The water makes the ride comfortable and that much more fun, so you don’t need to be in a harness. This is a brilliant day out for two if you are looking for something a bit different that’s active and adventurous. 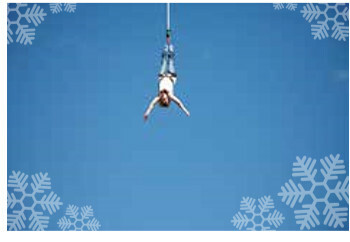 Bungee Jump Experience – Special Offer Call yourself an adrenaline junkie? Then get stuck into this amazing bungee jumping experience for one. Take a deep breath, close your eyes and take the leap of a lifetime as you fall towards the ground below. 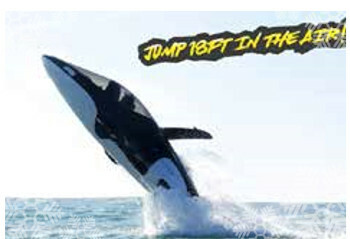 The jump may only take a matter of moments, but those memories that will last a good deal longer! You can even purchase a video or pictures of your experience so you can prove to your mates (and yourself!) that you really did it! Abandon the oversized coffee mugs or the overpriced aftershaves and give the special man in your life an experience he’ll never forget! 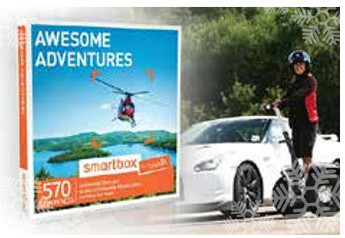 We’ve hand-picked the finest selection of over 1650 Tasty Treat, Driving Blast and Adrenaline Adventure experiences to create the perfect gift for any man. Featuring everything from zorbing to supercar driving, gourmet dinners to overnight glamping breaks, we’ve collected a spectacular selection of experiences to suit every taste. Your voucher is also fully exchangeable so you will have the flexibility to exchange it for something to suit his tastes. Sumptuous sandwiches, moreish cakes and tantalising homemade scones make for a sweet enough treat, but combine this with a tall glass of fizzing bubbles and you have the ultimate afternoon tea treat. You and your loved one will be able to choose the location to suit you from the many UK wide options. You could relish a taste of the high life at the Hilton, indulge in chocolatey goodness at Hotel Chocolat or enjoy a quaint and traditional experience in a countryside inn. If you delight in enjoying the finer things in life and enjoy indulging in the likes of a quintessentially British afternoon tea or candle-lit dinners at top restaurants, this is the ideal tasty treat for you! Foodlovers need to look no further as we’ve handpicked a fine selection of over 725 exquisite experiences to choose from, ranging from dining out to wine tasting and brewery tours. Take a breather and let your hair down for an entire afternoon of bliss and serenity with one of these marvellous pampering experiences across the UK! Venues include everything from local hotspots to national favourites like Bannatyne Health Clubs, Marriot Hotels and Virgin Active. Whether you want a massage, a manicure, a pedicure or a facial, every treatment you could possibly imagine is right at your fingertips! Looking for a relaxing overnight escape that’s a little out of the ordinary? We’ve got something to suit everyone, with incredible selection of over 250 quirky, cute, and traditional one night breaks. Featuring everything from seaside retreats to rural escapes, you are sure to find the perfect break for you. 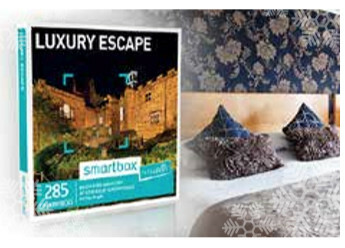 With fantastic breaks in the heart of the stunning English countryside as well as exciting city getaways, this is the ideal gift solution! Whatever your idea of a luxury getaway is, we have something perfect for you! Whether you dream of exploring a new and exciting city, immersing yourself in the glorious verdant countryside or fancy a classic seaside break, we’ve created the ultimate luxury stay package with something for everyone. We’ve handpicked over 285 truly luxurious one-night breaks for you to enjoy. Treat someone special to a memorable night at one of these fantastic destinations! The choices are endless with these high octane driving blasts. 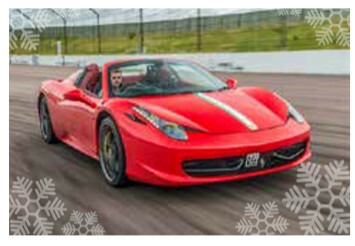 You can speed round the track in one of eight fantastic supercars at Blyton Park, take on a 4×4 in Berkshire or sit back and enjoy the fast pace with a high speed passenger ride. No matter where you are you can enjoy the adrenaline pumping driving thrill you’ve been dreaming about as we’ve got experiences all over the UK from Devon to Perth and everywhere in between. With 570 products to choose from we’re sure that you’ll find the ultimate adrenaline fuelled experience to get your heart pounding! Our awesome adventures are scattered across the UK so no matter where you’re based you’re never too far away from your next exciting activity, from the thrill of getting behind the wheel of a supercar to feeling your stomach drop as you take off in a microlight, relishing the wind in your hair as you jump aboard a 60ft racing yacht and every adventure inbetween! 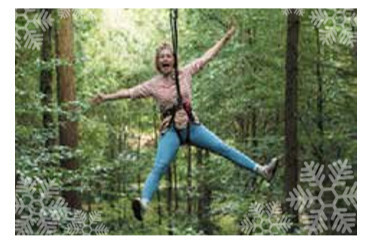 Gift your loved one the ultimate Christmas present, with the choice of 2570 experiences across the UK. Some experiences are for one person, while others like the afternoon teas are for two to enjoy. There are options of adrenaline- fuelled adventures which include scuba diving, zorbing and indoor skydiving, while others may enjoy a more relaxing option such as spa days and papering treatments. 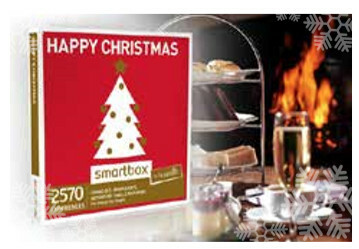 There are so many to choose from and there really is something for everyone in this Happy Christmas box.